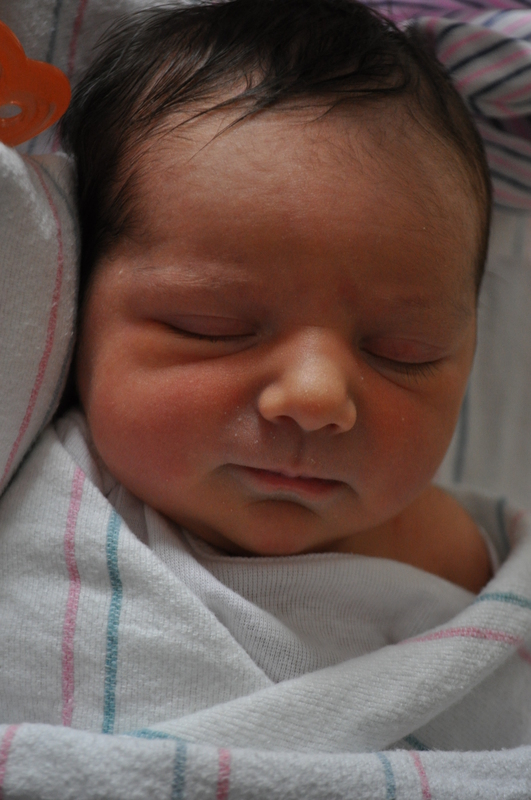 Alice Everly was born March 20th at 4:14 a.m. weighing 6 pounds, 14 ounces! She’s 20 1/2 inches long and totally and completely perfect! And her big brother likes her a lot. This entry was posted in Alice, Family, Motherhood, Tom. Bookmark the permalink. What an adorable name, and an even MORE ADORABLE baby!!!! Congratulations Kate!!!!!! Look at you! A mom of 2 and still blogging! Congrats! She is a doll! Congratulations! She is absolutely beautiful!!! I can’t wait to meet her! Congratulations! She is just gorgeous!! Cannot wait to give her a big kiss. 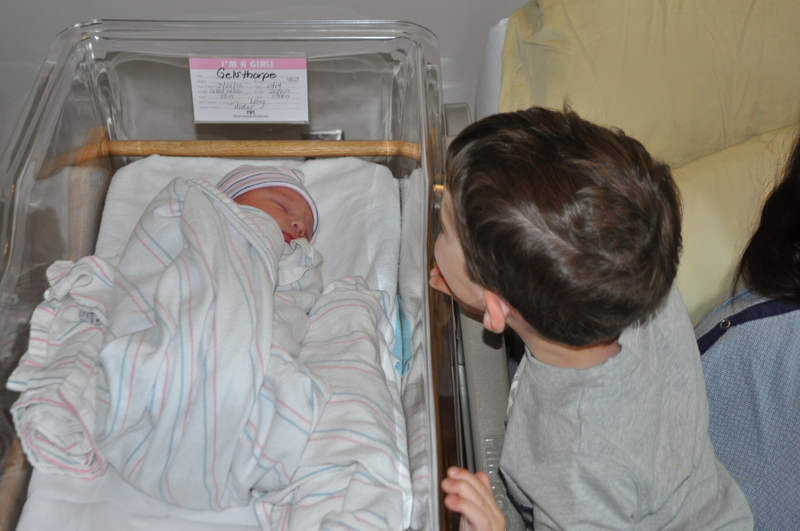 I am so glad Tom is being such a wonderful big brother. What a sweet little face! Congrats to you, Kev and Tom. Can’t wait to meet her.